This is really well put together, I am delighted with the end result. 15th August 2019, 09:30 to 12:30, Hepworth & Co. Brewers, Billingshurst. 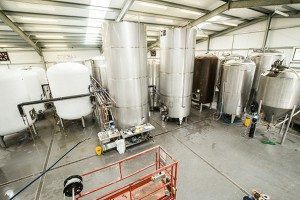 Join us for a Sustainability Tour of Hepworth Brewery in Billingshurst, West Sussex. Established in 2000, Hepworth is an independent brewery with numerous awards under its belt, most recently winning the Taste of Sussex award for Drink Producer of the Year in 2014. Hepworth puts sustainability at the heart of their organisation, whether it’s by sourcing local, organic ingredients or using solar power to run the brewery. What’s more, they use a ‘beer source’ heat pump for heating and cooling! See these sustainability measures in action on this behind-the-scenes tour and network with like-minded organisations over light refreshments, including low alcohol beer. Have a turnover of less than €50 million per annum (£45.1m1) or balance sheet total of less than €43 million per annum (£38.8m1). Be eligible to receive State Aid.2 This event has a State Aid value of £14.49 (€16.05). 1 European Commission monthly exchange rate January 2019: €1 = £0.90273. You are responsible for calculating the exchange rate and assessing your eligibility at the time of your application.